Birth date and place 29 Apr 1827 Kilkevin, Nock, Clare, Ireland. Physical Description Height: 5 ft. 8 ins. Complexion: fresh. Eyes: grey. Hair: light brown. Marriage date and place Unknown. Note: anomalies in number of children as passengers to South Australia [see newspaper references below]. 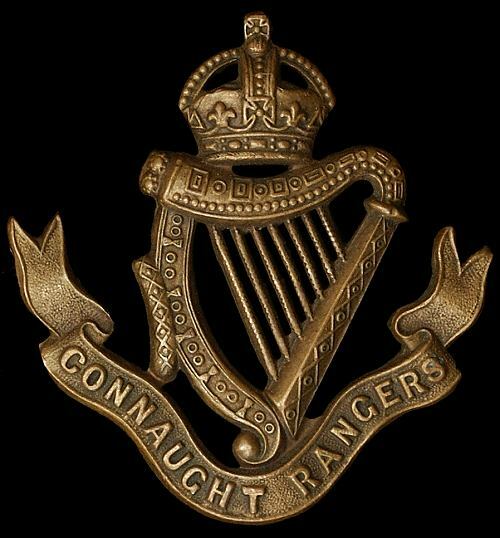 Regiment(s) 88th (Connaught Rangers) Regiment. Regiment No. and Rank #1831 Private. Attestation date and place 29 Apr 1844 Ennis, Clare. Service/Campaigns West Indies 1 year 11 days. North America 1 year 1 day. 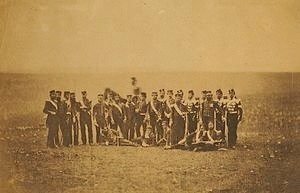 Embarked with service companies 10 Apr 1854 (Crimea). Casualty/Medical Casualty Roll: Slight wound. Minor actions at Sebastopol. 12 July 1855. Disabled by contraction of ring and little fingers and stiffening of middle finger of left hand after wound of backs of fingers by a piece of shell while employed on a working party on 12th July in the trenches. Had abscess in palm of hand after the wound, and 4 pieces of bone came away, 2 from middle fingers and 2 from palm. Regimental Courts Martial Imprisoned 26 Jan to 5 Mar 1851. Offence unknown. Discharge date and place 11 Dec 1855 Chatham. Length of Service 10 years 182 days. Post Discharge Pension District Sligo (1855). Liverpool (1857). Adelaide (1860). Pension Amount 8d. per diem. Increased to 12 d. per diem on 1 Jul 1884. Departure and Arrival 05 Mar 1858 Plymouth; 01 Jun 1858 Fremantle. Misc. Newspaper Articles Inquirer & Commercial News 28 Mar 1860 (see note above re children passengers). SA Register 18 Apr 1860 (see note above re children passengers). Express & Telegraph 2 Feb 1870 (Court hearing). Departure from WA Waitemata dep. 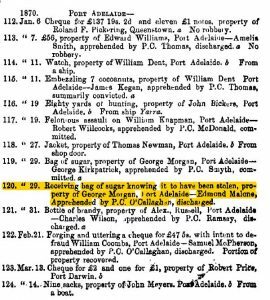 25/26 Mar 1860, Fremantle; arr. 17 Apr 1860 Adelaide. 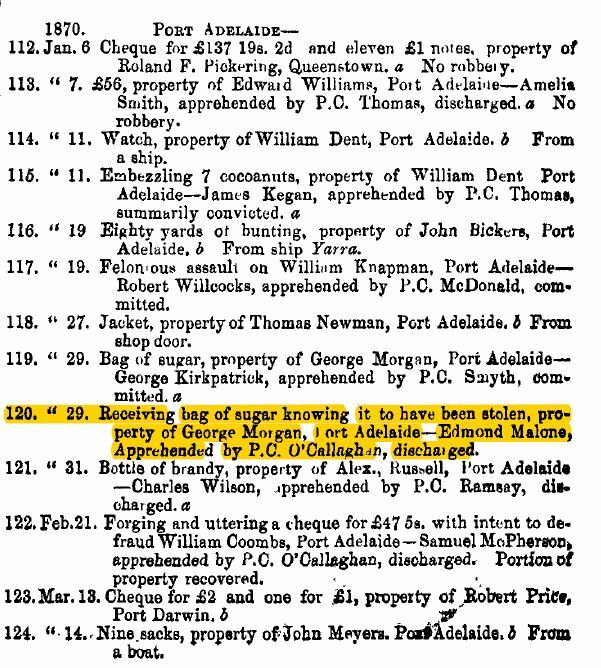 Entry in Government Gazette 29 Jan 1870 at Port Adelaide. Details of this case in Police Court appeared in many Adelaide newspapers.